At Spectacular Ink we have a passion for tourism. We work with you to design the right campaign, with relevant messages, and deliver it to your target audience. We help you to elevate your brand to the next level. With more than two decades of expertise in tourism marketing and public relations, we designed compelling campaigns that put our clients in the spotlight. Our reputation as a premier tourism and hospitality PR agency is built upon integrity, creativity and the strong relationships we have forged with key journalists and travel professionals. With our 19-year track record and clear grasp of the media landscape, Spectacular Ink has helped many tourism and hospitality clients – both large and small – to exceed their goals. CONTACT OUR TEAM FOR A CONFIDENTIAL CONSULTATION. 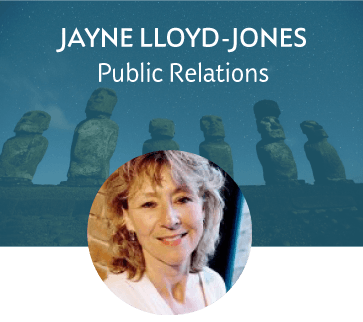 Armed with twenty-five years experience in the PR industry — including as PR director of Fairmont Chateau Whistler Resort — Jayne launched Spectacular Ink in 1998. Under her guidance, Spectacular Ink has built its reputation as one of Canada’s strongest PR agencies specializing in tourism and hospitality. The agency continues to demonstrate its dedication to achieving its clients’ goals, through a combination of hard work and creativity. 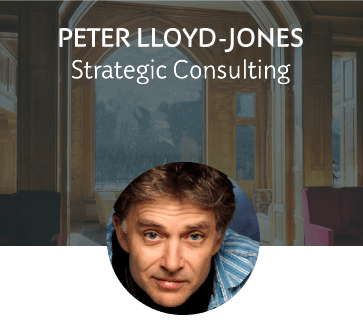 Having spent his childhood in his parents’ hotels, Peter went on to study International Relations, before spending 15 years with a US-based tour operator. He subsequently founded the European Tour Operators Association (ETOA) in 1990 and became its first Executive Director. Following three years of running his own tourism business in Whistler he co founded Spectacular Ink with his partner Jayne offering a wide range of marketing and sales services. After graduating from the University in Mainz, Germany, with a Master in English and German Language and Literature, Sandra worked as a freelance journalist before finishing a two-year traineeship as a PR consultant for luxury hotels and tourism clients in Frankfurt. 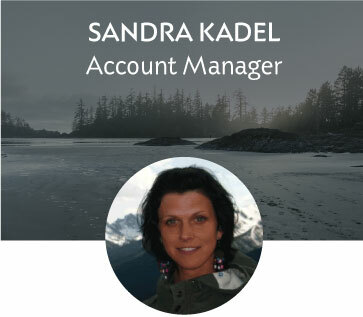 Sandra took on the role of Social Media and Communications Manager at Mt Seymour Resorts in North Vancouver, where she was able to implement a variety of social media strategies and honed her PR skills, learning to quickly navigate in a fast paced environment. Since April 2017 she has been working as a freelance PR Consultant. When she is not networking and pondering creative ideas, she enjoys hiking, biking or practising yoga and painting. Public Relations is a cost-effective way to generate unpaid media coverage. A PR agency is a pivotal member of your marketing team: from helping direct the marketing strategy, to running the day to day Public Relations campaign, we can make a difference. Whether we are working with hotels, destinations, spas, restaurants or lifestyle products, we are quick to absorb the spirit of the company, its culture and aspirations. We are constantly growing our base of media contacts, and seeking creative ways to make a difference in your organization. If you are handling your own media outreach, why not consider Spectacular Ink to give you a wider reach while offering you considerable savings. We work on projects, launches and media events. For over 20 years, Spectacular Ink has had the pleasure of representing diverse organizations in the tourism and hospitality sector. From states to regions, luxury hotels to wilderness lodges, restaurants to spas, wineries and resorts. We have created winning strategies that have got our clients noticed where it mattered – from the online spotlight to the printed page; from winning awards to building reputations. We count travel writers, food and wine specialists, ski and eco-experts, among our close contacts. We can direct a campaign at journalists in new media, broadcasters and photographers, as well as editors, freelance writers and social media influencers. At Spectacular Ink we work with you to identify your communications goals, to raise your profile, and to help you to build the success of your business through a media relations campaign. We help you to identify your audience: the media, stakeholders, potential guests, employees, or tourism partners. In partnership with your team we craft our objectives and identify the most persuasive ways to communicate with your audiences. We single out the news that engages the media and gets you noticed. We surround ourselves by experts in their field: photographers, web designers, digital specialists, SEO strategists, and writers, and orchestrate projects and initiatives by finding the best person for the job. I have worked with many, many tourism and travel PR agencies around the world, and I can say without hesitation that Spectacular Ink is among the best. They go the extra mile to help provide all the assistance travel journalists need to produce their stories. I’ve worked with Jayne and the Spectacular Ink team on trips ranging from California’s Anderson Valley to staying in a suite fit for an oligarch at St. Moritz’s Badrutt’s Palace. No matter if the destination is in our own backyard or halfway around the globe the itinerary has always gone off without a hitch allowing me or my assigned writers the luxury of concentrating only on the enjoyment of the destination. Just a quick note to thank you and your crew for a lovely, informative lunch. I trust your clients know how very professionally and fully you represent their interests. I drove home with new story ideas swirling in my head. Jayne and Peter are among the most accomplished and capable professionals in their field—and they are excellent people as well. Their global experience, zest for exploring, and understanding of the travel publishing business make them peerless representatives for any destination or travel enterprise. And they live in (and help publicize) one of the world's best countries! I've been proud to work with Jayne and Peter for almost two decades now.